Mental Training for Athletes, Fitness for Your Brain! Mental training is something that can be quite often overlooked when it comes to fitness and athletic training. Regardless, if you are just starting an exercise program, are a high-level competitive athlete, or you're competing in your first "Ironman", make sure you have "trained your brain" to accomplish the task. Sometimes the mind strays toward thoughts of uncertainty. This thinking may include doubts about preparation, the time sacrificed for training, and/or the simple uneasiness that surrounds a pending competition or race day. These thoughts can conjure up overall feelings of apprehension, fear, anxiety and pressure. I know these feelings first hand and that these feelings and negative patterns can defeat an otherwise physically prepared athlete. 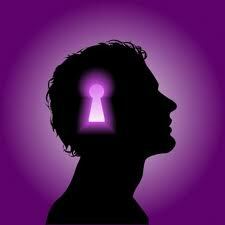 Finding the key to unlocking positive thoughts can be the difference between success and failure. Learn to deal with fear and negativity. Make sure you own worst enemy does not live between your own two ears. Remember the adrenaline and natural hormones your body creates when it is scared are more powerful than any drug. Learn to harness it and use it constructively. The good news is, you can change negative thought patterns and improve your mental game. Top athletes, from golf to swimming, continuously work on mental toughness—and you should too. Worry about the present: A lot of negative thought comes from the fear of "what may happen". Focus on the "now" and if presented with an obstacle or challenge, deal with it. Formulate a plan to make the situation better. Self-Talk: This is huge! Its amazing when you are having a tough training session or feeling tired during a race how your mind fills with negative thoughts. Learn to overcome that. Repeat thoughts, such as "I'm not tired", "I am stronger than this" etc. Focus on the goal: Focus on how great you are going to feel after a tough training session and the nice meal you will deserve afterwords. Focus and crossing the finish line, or how it is going to feel when you beat a challenging team or competitor. Smile: Ever see an athlete that just looks mentally beat or a marathon runner who is struggling? Another runner may physically feel the same way, but with mental training, he or she overcomes negative thoughts to stop running with a simple smile. Visualize: Do not focus on the negative or failure, it's simply not an option. See yourself reaching your goal. Whether its finishing a race, standing on top of the podium, or simply reaching a weight or size target, visualize it! Train your brain to tackle problems head on and focus on moving forward to your goal. This will ensure mental toughness and keep any negative thoughts away. To return from the "mental training" page to the Fitness Tips page click HERE.